And no, I don’t mean a wrap as in a lower-carb alternative to a sandwich, all though there’s nothing wrong with going that route considering the sheer amount of calorie intake we face during these months. What I mean is a body wrap. Have you ever tried it? Once, many many years ago when I was privileged to travel to Miraval Resort in Arizona, I ordered my first time as feeling like a human burrito. Note: if you have high blood pressure, are pregnant or are claustrophobic, this method of a journey to feeling amazing, is not, I repeat not for you. However, if you are willing to what you need to do, to “get it all out”, then I highly recommend the Revive Aromatherapy Detox Body Booster WrapÂ at Celadon Spa & Salon. Indie Lee is new line Celadon carries. 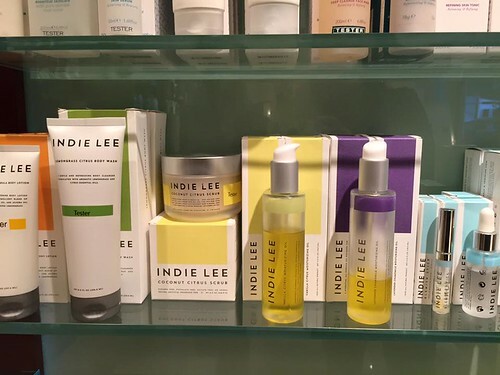 Comprised of the finest all-natural ingredients around the world, the line is designed to enhance the face and body with gratifying green glamour. Protecting the Earth and your body. My personal favorite for a quick eye booster (and reason to spend 5 minutes of quiet!) 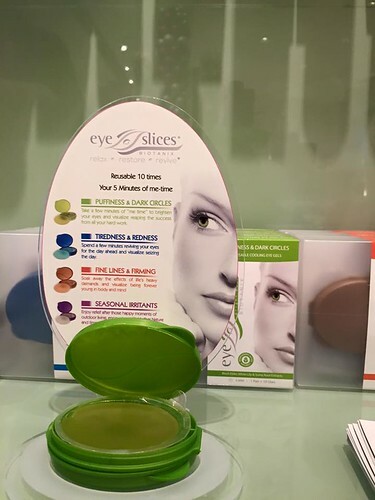 When you are on the go-go-go, Eye Slices give your eyes an uplift instantly! It’s 75 minutes of heaven. Well, it’s a route to feel heavenly, at least in my book. Starting with a scrub, Sandra rid my entire body of every annoying extra skin cell that made my skin feel rough and look dull. Next, she left me to take a shower in the private adjoining room, where I used an energizing wash and mitt to lose every grain of scrub. I did have a cap around my hair as well to keep product from creeping into my messy tresses. When finished and toweled off, I returned to the darkened room to see the bed was remade and Sandra welcomed me back for the next steps. Gel and aromatherapy ointments made of a blend of pink grapefruit, rosemary, and eucalyptus which aids in the release of fluid retention and toxin elimination (I need lots of help in these areas with my diet and stress), tighten the skin (who doesn’t need that?) and refresh the mind (again, who would deny this?) were then massaged into every inch sending me into a dream world as she began so slowly fold the wrap around me. Time seemed to stand still as she moved into the Indian scalp massage. I might have said, “I love you, marry me,” more than once, but I was so out of it, I believe I’m excused. At the end, after my unwrapping and wiping down with a warm towel, I felt cozy, clean, refreshed and ready to go home and go to bed. Now, it is recommended to not in-tox, but rather drink a ton of water, perhaps even some herbal tea. I may or may not have disregarded the rule and indulged in some red wine that dark and cold Friday night. Now, a few weeks later, my skin’s texture is still even and smooth. If you aren’t into a wrap, I do suggest at the very least a scrub with some type of massage. It’s important to care for yourself from the outside as well as from within. Treat yourself! 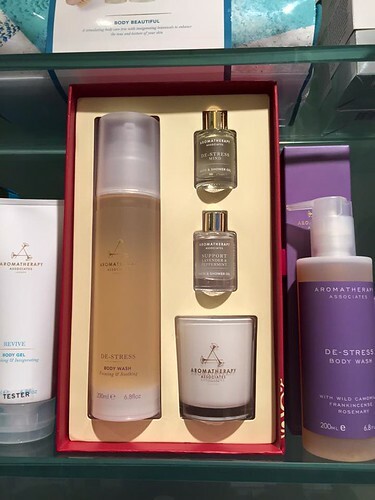 Aromatherapy Associates De-Stress package: The perfect product gift for the “You Know Who” in your life (or even you!) who needs to just take a breather. For a list of services go to www.celadonspa.com or visit in-store. And as it’s the holidays, a gift card for treatments and services is ALWAYS a winner.